Join me for a taste and photos of the wonderful Lulu's Farm Roadside Market for fresh produce, eggs, meat, fish, herbs and all manner of food and cooking-related fare such as grills, cookbooks and more! Denver has a replica of the original Liberty Bell; so does every other state. Learn how the states and territories each received a replica and why, plus a little trivia about the (cracked) original in Philadelphia. Happy New Year (Czech and German Style) from ATFT! 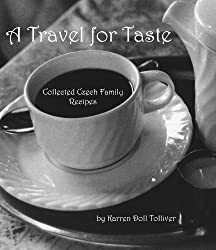 A Happy New Year message with some interesting Czech and German traditions plus an apple strudel recipe and links to raclette, hot mulled wine and much more!